Ultradyne recently released its Apollo Max Muzzle Brake, specifically built to tame the recoil impulse generated by .308 Win. cartridges. The company claims to have utilized advanced imaging and precision instrumentation when developing the new muzzle device. Ultradyne’s design utilizes what the company calls muzzle-rise compensation ports at the end of the muzzle brake. Additionally, these ports direct gasses away from the shooter’s line of sight. Further, each port is located, sized and shaped for maximum gas flow. The brake utilizes a combination of modeling and testing, according to Ultradyne. Ultradyne further claims the the brake reaches a higher level of recoil reduction in a brake of this size. Also, the company credits this feat to a combination of applied science and engineering. Each muzzle brake is CNC machined. Also, each one is built in the USA. Moreover, for competition shooters, namely 3-Gun and practical rifle shooters, a better muzzle brake for recoil mitigation would be welcome. Because practical shooting is a speed-based sport, taming recoil is important. Firstly, better control of the rifle equals faster follow-up shots. But also, delivering less muzzle rise helps with target transitions as well. Further, finding one under $100 will likely encourage shooters from these camps to check out the Apollo Max Muzzle Brake. Finally, Ultradyne, located in Columbia, Missouri, produces muzzle brakes, iron sights and other parts designed for AR-type platforms. For more information, visit ultradyneusa.com. 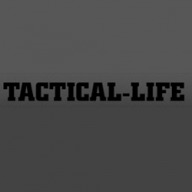 The post Ultradyne Apollo Max Muzzle Brake Tames .30-Caliber Recoil appeared first on Tactical Life Gun Magazine: Gun News and Gun Reviews.